Owners of Boulder real estate, especially those with Boulder luxury real estate, know how expensive property taxes can be. While the housing market may have softened considerably, many homeowners are discovering that they are still being assessed property taxes that reflect housing values at the time of peak real estate prices in 2005 and 2006. Assessments are only done every three to four years and this can result in homeowners paying much higher taxes than they should. Real estate assessment is also more of an art than a science and the correct assessment depends in large part on the assessor being knowledgeable and having a good handle on the local real estate market. Certain parts of the country are more expensive to live in than others and Boulder, Colorado is a prime example of this. The pristine air and tranquil nature, as well as the elevation, attract many people who are interested in purchasing Boulder real estate. The area is a paradise for sports enthusiasts and those that love nature. Prices of Boulder luxury real estate are high because this is such an exclusive part of the country to live in. The city regularly ranks among the top cities in the United States to live in terms of health, education, art, quality of life and well being. Unfortunately, the privilege of living in Boulder also carries high property valuations, which means high property tax bills. Property taxes have risen across the country. The National Taxpayers Union, which is a non-profit advocacy group, has an expectation that property tax bills will increase by at least 5 percent this year. 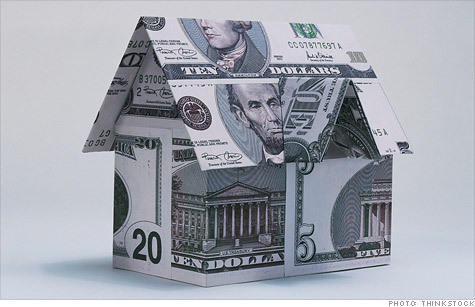 Every year, the average property tax of homes has gone up by about 7-8 percent, since 2001. This increase has left a lot of property owners frustrated and wondering what they can do to reduce the cost of their property tax bills. Short of letting their home go completely to ruin and thereby decreasing the value of their property, many people are wondering what they can legitimately do to save money. Across the country homeowners have filed property tax appeals in record numbers this year. Appeals can be lodged at any time, but to affect tax bills this year the appeals have to be filed by a specific date. To have a convincing case it is a good idea to start with the fact that the assessment given to the home no longer reflects market value. Months or years can elapse between property assessments, so discrepancies are bound to show up. It is possible to have a successful appeal if it can be proven, with documentation to back up the appeal, that the assessment is unfair and no longer valid. There are a few other things that people who own Boulder real estate or Boulder luxury real estate can do to lower property valuations. The easiest thing to do is to find evidence that the local assessor made an error when evaluating the property. Many communities rely completely on drive-by evaluations, so it is not far-fetched to assume mistakes could have been made. The assessor estimates the value according to the features that other homes in the area possess. It is possible that the assessor made an assumption that the home contains a certain number of bedrooms or bathrooms, or a fully finished basement, when this is not the case at all. Homeowners may also have success with their case if they can show that the property they own, such as condo units or luxury real estate, has not kept up with the pace of the local market. Homeowners should compare their home assessment with other similar properties in the area. If there are at least five properties that carry lower valuations, the odds of successfully filing a property tax appeal are increased. It may also be a good idea to hire a private appraiser to properly value the property. There may be mitigating circumstances such as a damaged roof or leaking basement that a drive-by inspection could not possibly reveal. It is also possible to hire professionals to file the property tax appeal, although they will charge money for it and this can cut into property tax savings. Anyone unhappy with their property tax bill should file an appeal as soon as possible because local governments limit refunds to the prior year`s tax bill. Anyone interested in financial products may wish to visit http://www.simplyfinance.co.uk/calculators/mortgage-cost-calculator.html Simply Finance for more information. When you begin the process of selling your home you begin an information gathering process. What’s the market like relative to your house. Which realtor do you have rapport with. Who do you feel is confident to get the job done properly? What brand has the best vehicle for exposure? You will soon find out that you must be the price leader, the condition leader, the location leader. I believe you must work backwords from the closing table. It does not matter what a buyer is willing to pay (unless it is cash and there is no appraisal) but most properties bought are bought with a loan component. With that in mind the next thing working backward (with the exception of the loan conditions being met) is the appraisal. So important. The house must appraise above or at the offer price with no conditions. Working backwards we get to the home inspection and the conditions (seen or unseen of the home). The two biggest killers of deals are the inspection (some buyers believe this is the time to renegotiate the price; it is not). The second deal killer is the appraisal. Especially if you are working with appraisers/underwriters unfamiliar with the market you are working in. This can be a challenge even for the most patient. Two things can remedy these problems. Get your property in perfect condition and keep it show ready. Price it properly so there are no issues with the appraiser or the underwriter. If you are going to buy a house in Boulder or just have a question about anything Boulder, call me today. When home owners remodel they improve their property. The reality is that improvements while good to enhance the sale of a home will not result in a higher price for the property. The best ROI is a new front entry door replacement at about 128% return and the poorest return being a home office remodel with a return of 48%. Conventional wisdom says that bathrooms and kitchens are the most popular rooms to remodel. Check this out to see what investments in different areas will return. For first time buyers, buying a home can be a complex and confusing process. If you are working with a realtor, you most likely have been preapproved by a lender. This usually is a quick conversation with a reputable lender regarding your income and credit score. While preapproved and prequalified have over time become somewhat synonymous, the preapproval is stronger and comes with a letter stating that the lender is confident you will be approved for the loan amount. The preapproval letter Is absolutely necessary when submitting an offer to purchase. You have probably looked at several homes before finding the right one, in the right condition and in the right location. Then you submitted a purchase offer. After one or several counteroffers, the purchase offer has finally been accepted. Congratulations, you just got part way there. There are still several steps, which must take place to fulfill the conditions of the purchase agreement. One of the key steps is the appraisal. In most cases you have already spoken to the lender and understand how much you will need to bring to the closing table at a given purchase price. The lender, in most circumstances, will want to use their own licensed real estate appraiser. The appraiser will assess the property using an intricate set of criteria to reach the appraised property value. 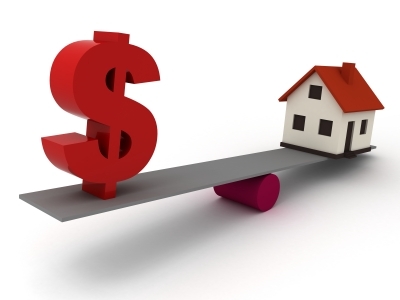 Technically, this value is the opinion of the appraiser of what the property is worth. The result of the appraisal is of paramount importance when it comes to financing your mortgage. 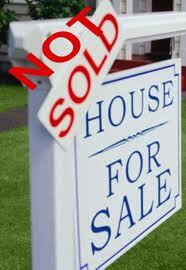 If the property appraises for less than the purchase price, then you will have decisions to make. A couple things can happen; (1) you can go ahead and pay the amount you offered, (2) you can renegotiate the price to near the appraisal price if the seller is willing to budge or (3) you can cancel the contract in writing before the appraisal objection deadline and your earnest money will be returned to you. If the property does appraise, the deal moves forward with the other conditions of the contract in place, such as inspection, title, loan conditions, etc. The appraisal is what I consider the most important piece of the puzzle. It can make or break the deal, depending upon the results. When a property appraises properly everyone will feel at ease and you are well on your way to living your dream. If you have any questions regarding financing, appraisal, inspection objection deadline or buyer tax credits (Must be under contract by April 30, 2010 and close before July 1, 2010) call me. 1. The number ONE reason your home is not selling is, your home is OVERPRICED. Optimistic buyers often say “there’s a buyer for every home.” What they often leave off is the qualifier “at the buyers’ price.” The fact is that buyers, not sellers, ultimately determine the market value of a home. Overpricing is the most common reason homes do not sell. Price! When you set a high price it sets an intention in motion. Most real estate agents and most qualified buyers will see your listing within the first 30 days. If it is overpriced by as little as 5% it will be duly noted and interest in your property will wane. Buyers will notice when it has been on the market for a substantial period of time it will become shop worn and potential buyers will start asking the all too common question about overpriced listings “I wonder what’s wrong with it?” Buyer code for let’s low ball them. If you do not drop your price, and soon, you will be doing what is called “chasing the market.” What you want to be doing is “leading the market.” The other problem is once an offer is made your property may not appraise for the agreed upon asking price, thus throwing another wrench in the works. Often it is overcome by the seller coming down to the appraisal price or the buyer walking away from the deal. Competition to sell a home is high. Price it right to begin with and it will sell.